Home VPN How to Watch Rogers Anyplace TV Outside Canada? How to Watch Rogers Anyplace TV Outside Canada? Rogers is undoubtedly one of the biggest communication companies working in Canada and offers several services to the Canadian citizens including wireless communications, cable TV, telephone and internet. Rogers Plus was a new initiative by Rogers which included retail stores across the country that offered movies and video games on rent to the Canadians. Well, the physical renting stores were closed down in 2011 and the company rebranded its branch to Rogers Anyplace TV which is an online service. With the help of this service, now you can rent and purchase movies over the internet in Canada. 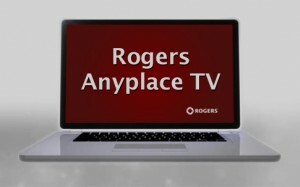 What is Rogers Anyplace TV? Rogers Anyplace TV is a very popular video on demand service that features hottest new blockbuster movies from Hollywood and you can watch any one of them right on your PC or mobile device. Not only does this video on demand service include latest movies, but its extensive library has thousands of titles of classical movies too. If you are already a Rogers customer, all your expenses on Rogers Anyplace TV will be charged on your Rogers bill. Get Great Entertainment on Rogers Anyplace TV! 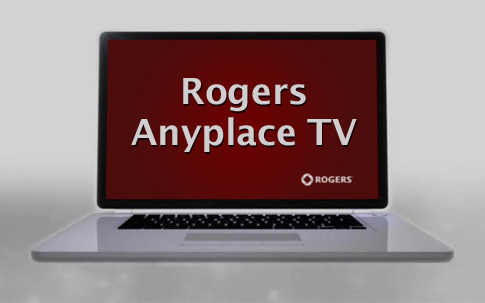 Rogers Anyplace TV also streams live TV shows from many broadcasters and networks including Cineplex, Chatelaine, BET, BTN, A&E, and Spark. It also features other exclusive content like music videos and trailers of upcoming movies. It is not necessary that you should be a Rogers customer to get this service as anyone with an internet connection can register and enjoy the healthy entertainment on Rogers Anyplace TV. Rogers Anyplace TV is Restricted to Canada Only! If you are living outside Canada, you will not be able to use this service because Rogers Anyplace TV is only available locally. So if you want to enjoy all the amazing features of Rogers Anyplace TV while living somewhere outside Canada, you can do it easily by getting a Canadian IP address. In order to get a Canadian IP, you will have to subscribe to an online service that will replace your original IP with a Canadian IP address. VPN is one of the best IP changing services available these days and itspopularity is properly justified by thousands of its users all around the world. Virtual Private Network will connect you to a remote server located in Canada and it will route your entire online activity through that server. This is how you will be using a Canadian IP address while surfing the internet. With the help of this service you will be able to get access to Rogers Anyplace TV while sitting outside Canada too. If you are planning on watching movies and TV shows on your mobile device including iPhone, iPad or Android device, you can get the Rogers Anyplace TV app from the App store or Google Play store respectively and then setup VPN on your device and enjoy the videos on the go. VPN will offer you high bandwidth speeds so you can stream HD quality videos easily. I don’t even know how I stopped up right here, however I assumed this put up was once great. I don’t recognise who you are however definitely you’re going to a well-known blogger for those who are not already 😉 Cheers!